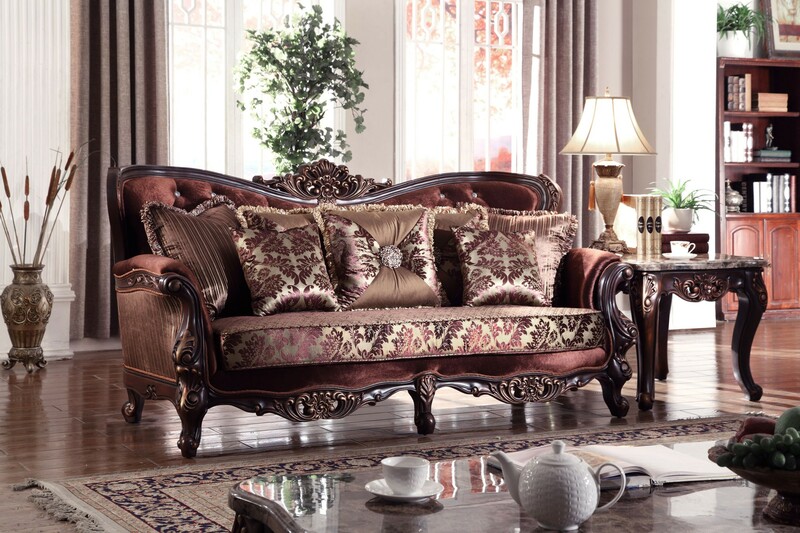 Buy this traditional style royal looking French provincial living room set 685 in brown fabric. 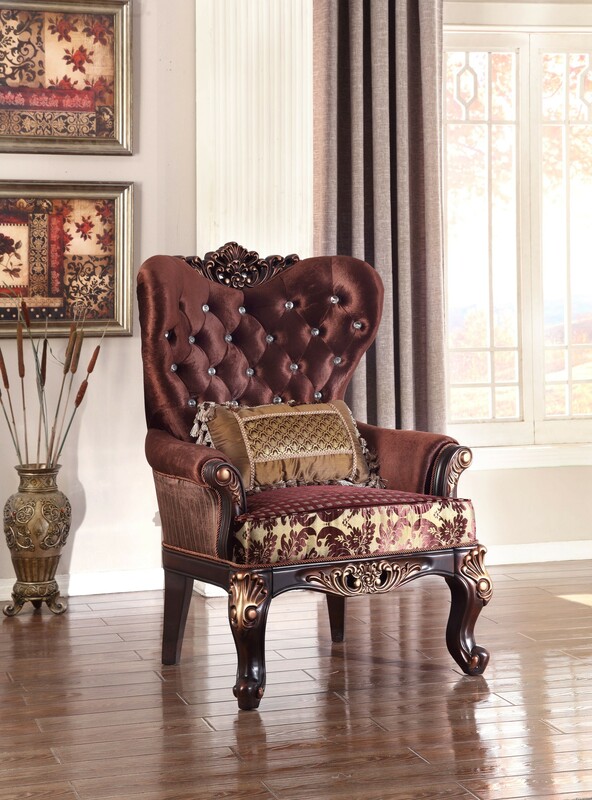 Dark brown wood trim imported brown color fabric accented by crystals button tufted design. 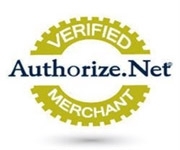 The sofa, chaise, loveseat and the chair are durable in construction. You can buy this beautiful solid hard wood, French provincial look sofa set separately or together as a set. The seats are tufted with high density foam to ensure a comfortable experience. The cushions of the seat are detachable and add extra comfort. 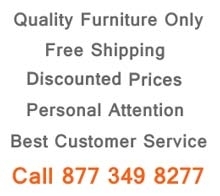 The armrests are delicately designed and padded with foam cushions. 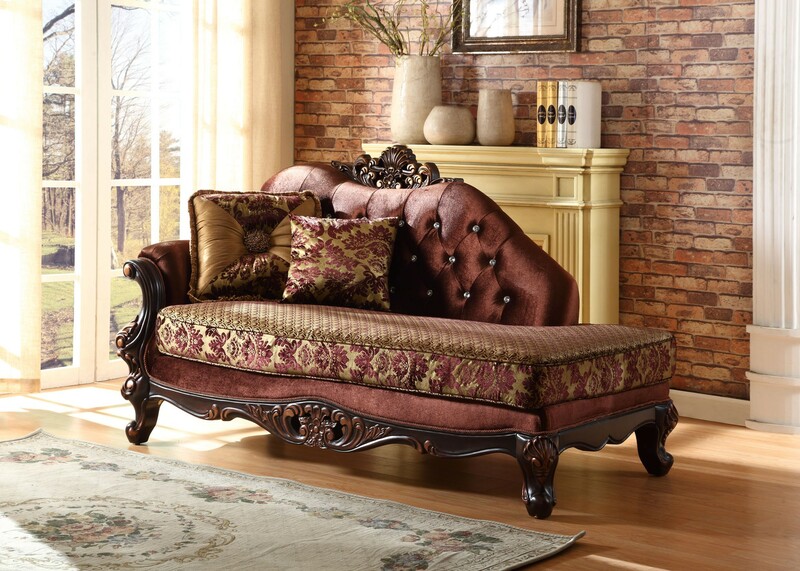 The tufted backrests of the sofa, loveseat, chaise and the chair are beautifully designed with a rich finish. This adds good looks and attractiveness to this gorgeous living room set. The look and grace of this outstanding and stunning living room set is unmatched.